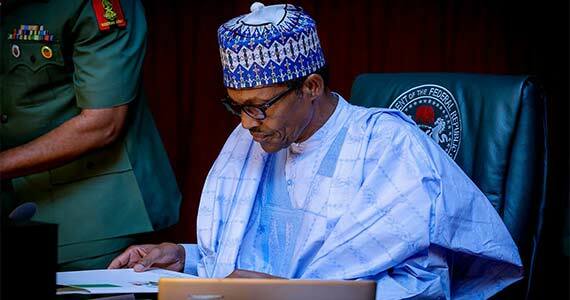 President Buhari has vowed to let the 2019 presidential election reflect the will of the people stating that he would hand over to the winner if he were to be defeated. President Muhammadu Buhari on Thursday promised to ensure that the results of next year’s general elections reflect the will of the people. Buhari said this while acknowledging the yearnings of Nigerians, and expressed strong belief in the collective dream for a greater Nigeria. The President said this at the Presidential Villa, Abuja while receiving Letter of Credence from Ambassador of Finland to Nigeria, Dr Jyrki Juhani Pulkkinen. The President congratulated Finland on its 101 independence anniversary on December 6, 2018 and commended the country’s growing relations with Nigeria, especially in areas of Information Communication Technology (ICT), trade and education. In his remarks, Ambassador of Finland said the areas of mutual benefit in relations with Nigeria can be extended to electricity, smart technology and crises management initiatives, pointing out that he will work hard to improve the trade figures and exchanges. At the level of the United Nations, Dr Pulkkinen said his country will continue to support the restructuring of the multilateral institution to give greater roles to African countries like Nigeria. Buhari, who also received letter of Credence from the Ambassador of France, Mr Jerome Pasquier, stated that French President, Emmanuel Macron’s visit to Nigeria’s capital, Abuja, and the stopover in Lagos, was really impressive in bolstering both countries’ relations.